The above prices are subject to an additional $264 for taxes/fees levied on flights that occur as part of the tour. The internal airfares ARE included (any exceptions are listed in red below), but we list the taxes separately on your invoice as they are beyond our control and can change at any time. Optional Single Supplement: $1328 USD (number of singles limited). 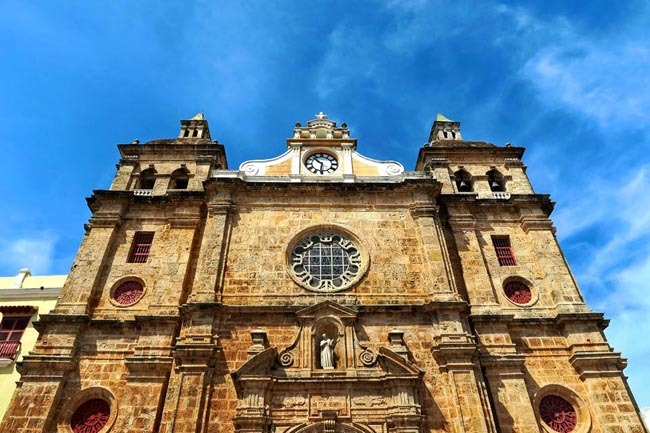 This Panama and Colombia tour is a nice combination of our highlight-packed tour of Colombia and our ever-popular tour of Panama in one nice three-week package. 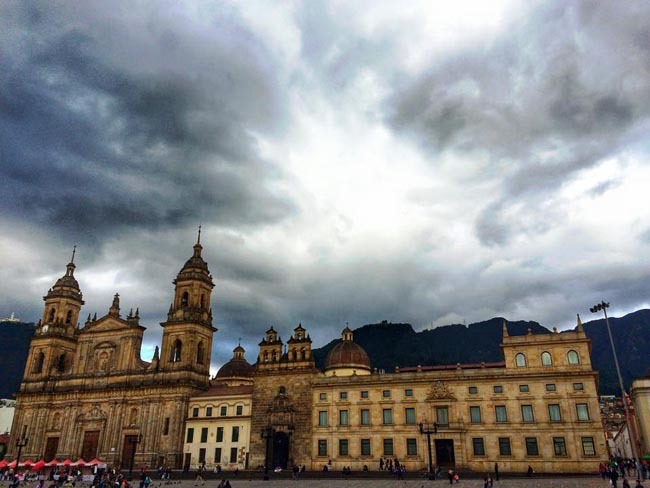 We particularly enjoyed the city walking tour in Bogota and Cartagena, the Salt Cathedral, the flowers in Medellin, Coffee plantation, palm tree walk, the hills in Panama, cruise through the canal and train ride, walk in forest in Panama, and the water tour in Panama. The drivers on this tour were very good. Our tour leader was always proactive, receptive, and provided lots of additional information. He always went above and beyond. Adventures Abroad have great tour leaders and the small group size is great. AA certainly met our expectations. 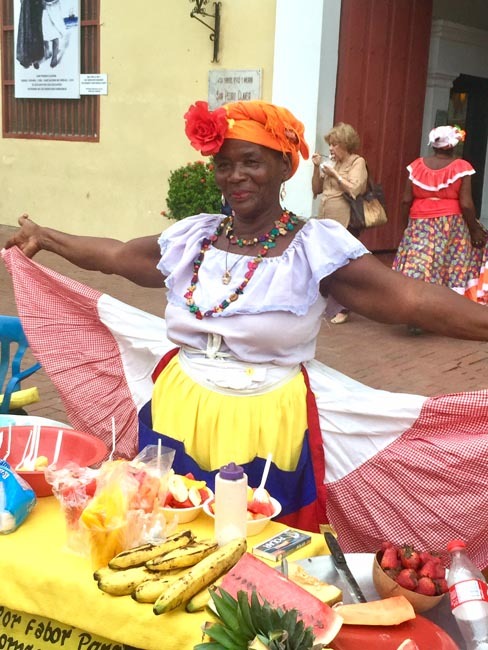 We signed up for a cultural tour of Columbia and Panama and AA provided the opportunity to experience and learn about both of these countries. We took advantage of that opportunity and our horizons have been broadened. We always feel safe and comfortable traveling with AA. We always get to experience something special on our trips, and this trip was no exception. Your product is amongst the best in the business. Difficult to pick which element was enjoyed the most. We enjoyed the variety and felt we were given a great exposure to both countries . The tour of District 13 in Medellin was moving. Gold museum excellent. Loved the day on the water in Bocas del Toro. Loved using the passenger ferry through the canal. We were impressed with our tour leader. We felt that it was important to him that everyone was looked after, that tour expectations were met and everyone was happy. All bus drivers were excellent and all very pleasant. Evening meals were very good, particularly in Colombia. Fantastic holiday! I enjoyed all the sightseein. 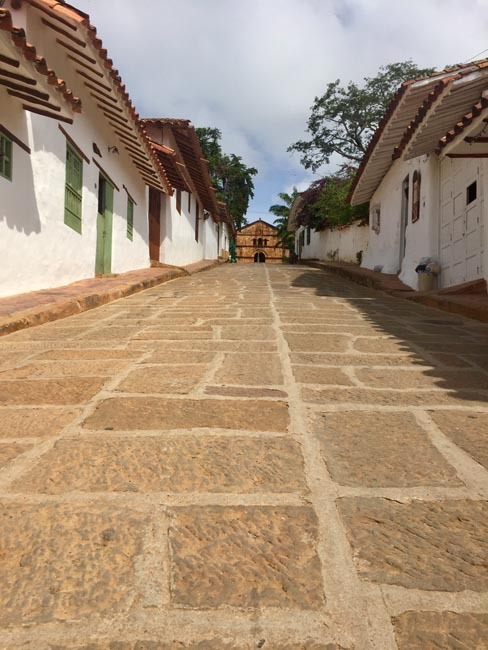 These are the ones that were the highlights: Bogota flower market, Montserate, walking through town with Catarina, salt cathedral; the wax palm valley hike, coffee plantation visit; Comuna 13 and public transport in Medellin; the forts in Cartagena, walking through the old walled city. In Panama, I loved everything relating to the canal. Enjoyed hiking in the mountain region, in the Panama City big park with the biodiversity, and really liked the boat trip in Bocas. We ate very well, I would say it exceeded my expectations. Specially liked the restaurant in Bogota that opened up for us in the evening, Prudencia. The hotels were excellent. Trip exceeded my expectations. Excellent value for the money. 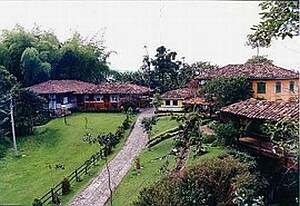 Today we arrive in Bogota, Colombia and transfer to our hotel. 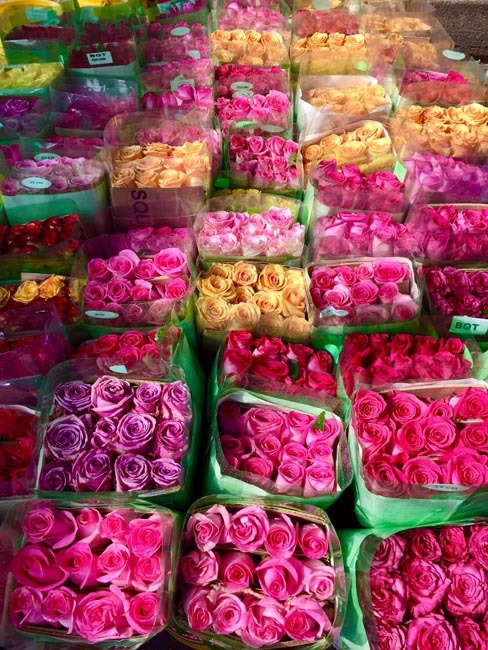 This morning we will visit the Plaza de Mercado de Paloquemao, the most famous flower and food market in Bogota. This is an authentic experience and not your typical tourist market. 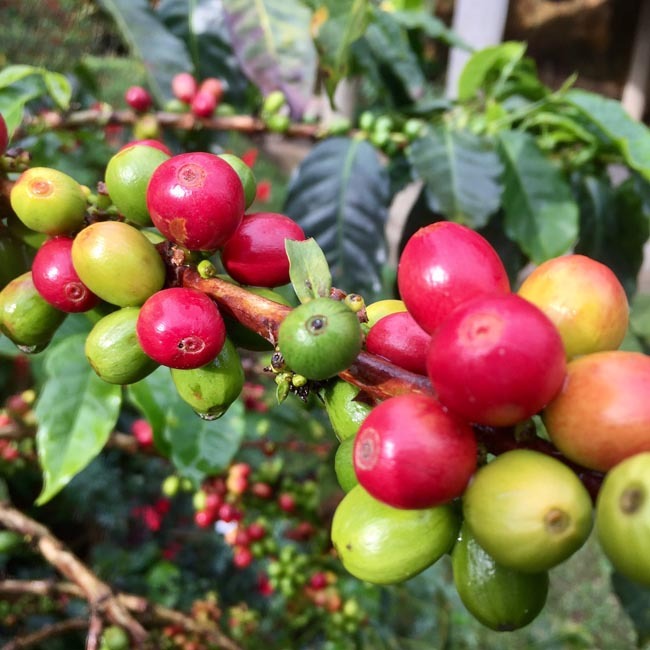 A visit here will engage all of your senses, and provides us with a great insight into Colombian customs and local living in Bogota. This is the focal point where the produce of the Caribbean and Pacific coasts, the fertile Andes and the tropical jungle meld together. 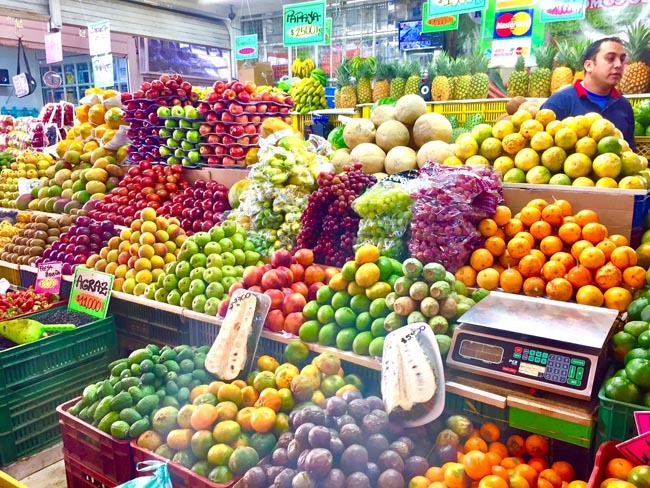 The market is divided into sections: flowers; fruit, vegetables and aromatic herbs; and meat and fish. 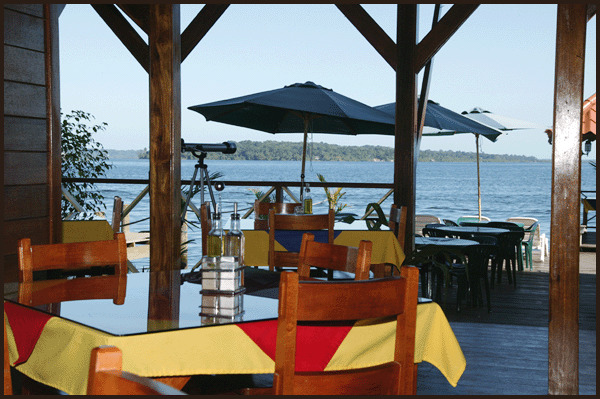 During our time here you will have the chance to taste some of the local produce. We then travel north to Zipaquira where we visit the Catedral de Sal. The Salt Cathedral of Zipaquirá (Catedral de Sal de Zipaquirá) is an underground Roman Catholic Church built within the tunnels of a salt mine 200 meters underneath a mountain. This is not only a popular destination with travellers, but also an important place of pilgrimage in the country. This cathedral is an engineering feat under the earth's surface, part of the salt mines that date back from the Muisca period. It has been thoughtfully lit and enchanting music is piped through its internal spaces. Curving and twisting tunnels descend into the Roman Catholic Church, passing 14 small chapels representing the Stations of the Cross, illustrating the events of Jesus' last journey. Each station has a cross and several kneeling platforms carved into the salt structure. 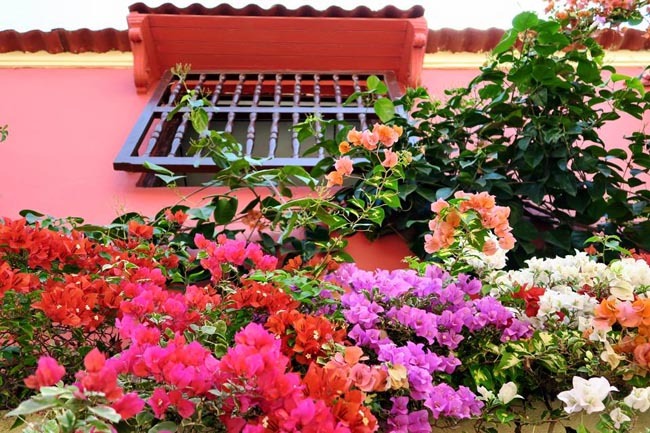 Most of the sights of the city are in the historic central neighborhood of La Candelaria. 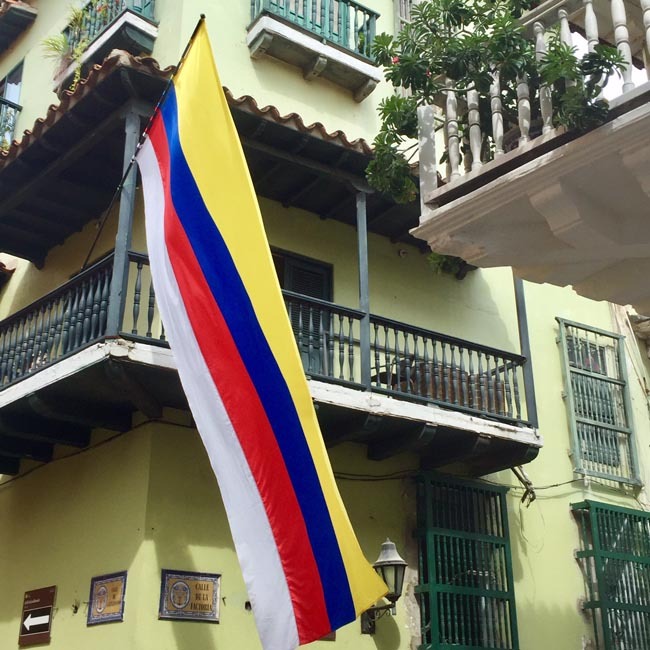 La Candelaria is the very heartbeat of this cultural and touristic renaissance. The architecture of the old houses, churches and buildings represent Spanish Colonial, Baroque and art deco styles. Our walking tour will take us around myriad streets in La Candelaria and into the vast Plaza de Bolivar. 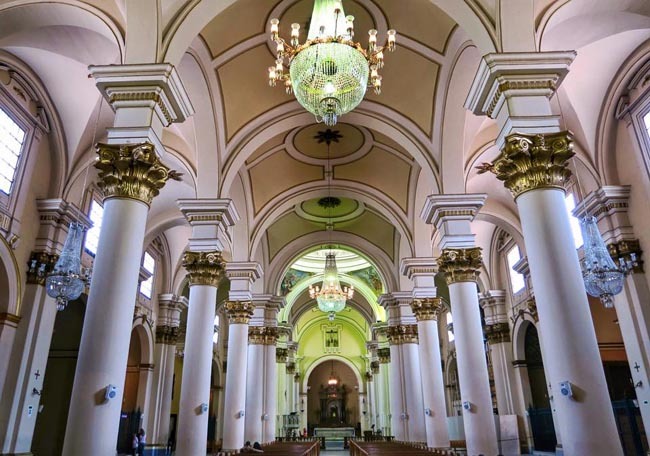 We will encounter some excellent examples of colonial architecture, such as the Catedral Primada de Colombia and San Bartolome College. During our touring we will visit the world-famous Gold Museum, regarded as the finest collection of gold from pre-Hispanic times. This museum has some excellent, well laid out exhibitions with explanations in English. We are also sure to visit the Botero Museum, home to some of Fernando Botero's finest pieces. Fernando Botero is the most widely recognized Colombian painter and sculptor. Today the museum houses one of Latin America’s most important international art collections. The museum consists of over 100 works of Fernando Botero, and some of the other highlights include works by Salvador Dali, Pablo Picasso, Claude Monet, and Henri Matisse. 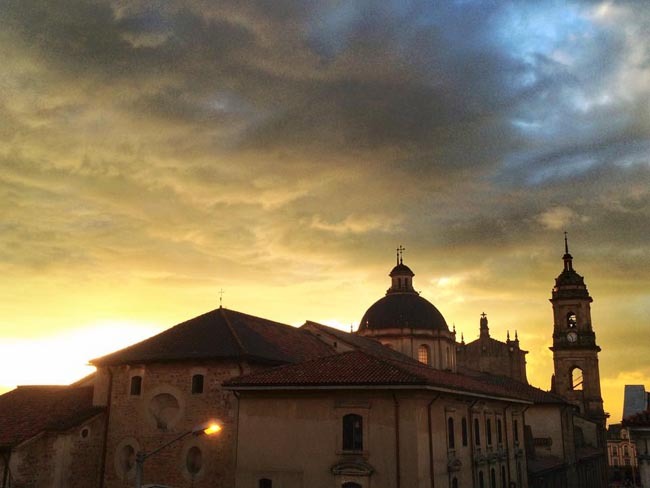 At Plaza Bolivar (Bolivar Square) we will find ourselves in the true heart of the historical area of Bogota. The city's main square is overwhelming in size, and is surrounded by neoclassical government palaces. Here we find the Catedral Primada, the largest church in the country. After taking in the many sights, we will walk over to see the Presidential Palace and its Presidential Guard. At the end of our day we will take the cable car to Cerro Monserrate. Some amazing views can be had from this great vantage point (weather dependant). Monserrate is crowned with its easily recognizable church and is a place of pilgrimage due to its statue of Senor Caido, the fallen Christ. Cerro de Monserrate is sometimes called the 'mountain-guardian' of Bogota, and has been a place of religious pilgrimage since colonial times. This morning we travel two hours to San Basilio de Palenque, a centuries old village and the first place registered as a free town for the slaves in all of the Americas, over 100 years before slavery was abolished. With the insight of a local guide, we are able to enter rustic homes, try local foods and drinks, hear traditional music, learn about a UNESCO recognized language and culture, and rub shoulders with some of the friendliest people in the country. 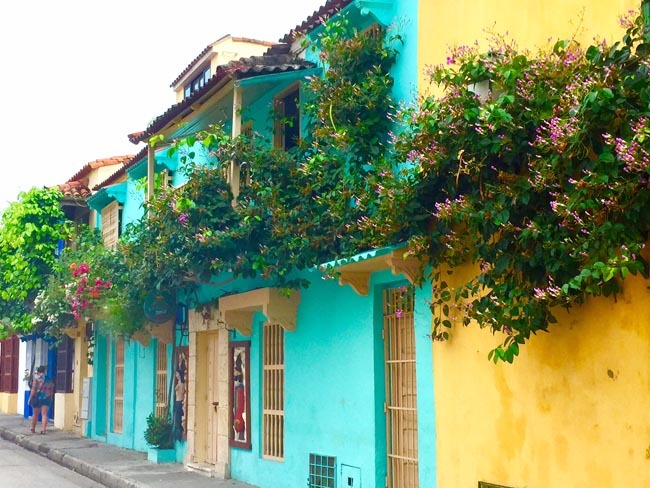 After about a 90-minute visit, we return to Cartagena by way of Bocagrande and Manga. Cartagena is built on several islands located at the end of a bay; the marshes that originally surrounded these islands were filled in order to link the land to the coast. The city, nestled in the bay, extends onto an L-shaped peninsula called Bocagrande. At the end of this stretch of land are two large islands that appear to be guarding the mouth of the bay. Just south of the downtown area is an island known as La Manga. This is a residential area for well-off Cartageneros. Several bridges provide access to and from the island, and one of these leads directly to the old city. A number of lagoons separate the suburban areas from the old city, whose centre is surrounded by magnificent ramparts. 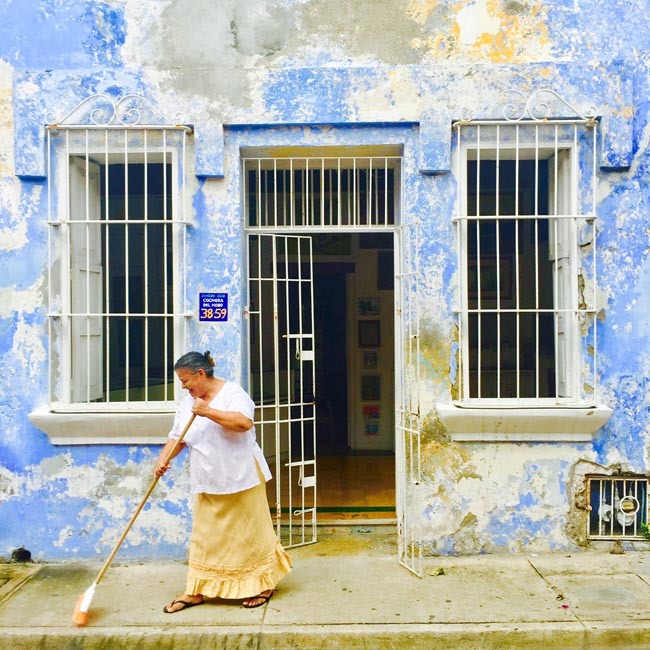 We will also enjoy a walking tour of Getsemaní, one of the most vibrant and up-and-coming neighborhoods in Cartagena. Today we fly from Cartagena to Panama City. 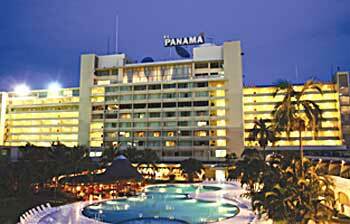 Today we depart from Panama City. This is a charming, colonial style country inn in a stunning rural setting. There is a pool, jacuzzi, and homey ...	with a cozy decor. The inn also boasts a charming restaurant featuring local specialties. 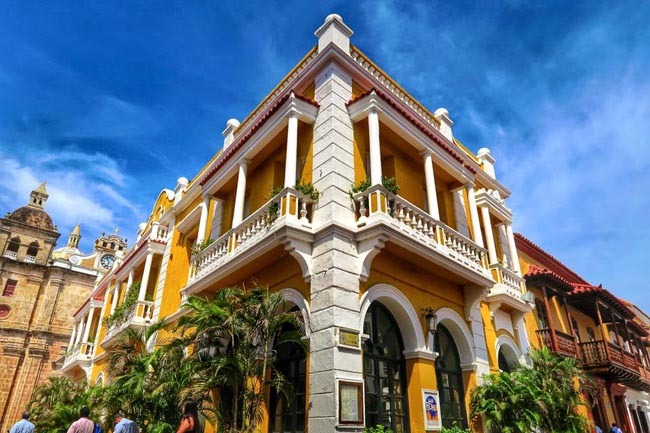 Hotel 3 Banderas is located in San Diego, right in the centre of the walled city of Cartagena. Just three ...	from the Caribbean Sea! 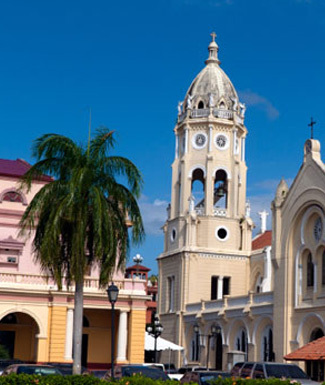 All of Cartagena's attractions are within walking distance. 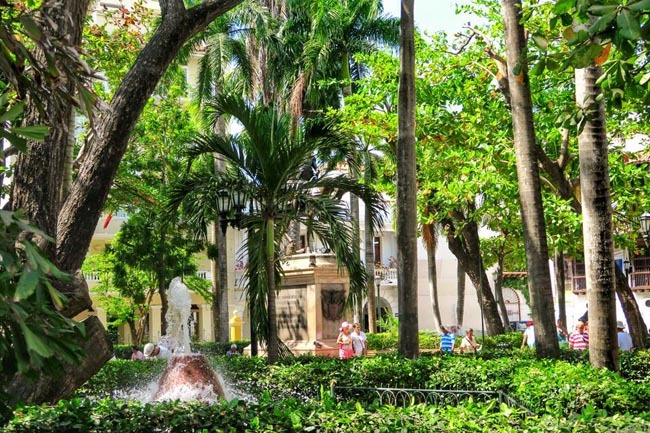 Neighbourhood attractions include the sidewalk cafes and galleries of Plaza San Diego. Breakfast and most dinners; some lunches (hotels and restaurants). All sightseeing and entrance fees for sites noted as 'visited' in the detailed itinerary. Gratuities for local guides, drivers, restaurant staff, porters (if available). Airport transfers for land & air customers and for early arriving / late departing land & air customers who book their extra hotel nights through us. International airfare to/from the tour. Tour Leader gratuity, some lunches, drinks, personal items (phone, laundry, etc), departure taxes, domestic and international air taxes (if applicable). Airport transfers for Land Only customers. Optional trip cancellation insurance. Our post-reservation trip notes offer further guidance on optional meal costs, shopping, and locally paid departure taxes. 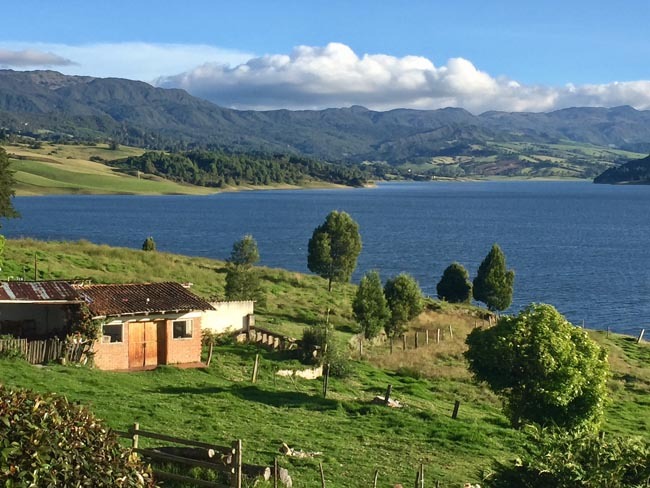 Colombia: Here the weather and climate are truly those of 'perpetual spring,' as understood in temperate latitudes. Nights are cool but never really cold, and at this height frost is unknown. The days feel warm in the sun but are never really hot. Rain and afternoon cloud are frequent, especially on the coast where temperatures and humidity are considerably higher. Panama: This tour is offered during the northern winter and outside hurricane season (though this region is not near historic hurricane tracks). Temperatures are high across the whole country throughout the year, though cooler at higher altitudes. The rainy season lasts from May to November. Land transport throughout by private air-conditioned motor coach, 24-36 seats depending on ultimate group size (see 'group size'). Though we will have some full bus days, road travel is not particularly arduous as there are plenty of stops of interest. Most roads are in good condition though winding on some stretches. Numerous walking tours on uneven surfaces. Most people are not seriously affected by altitude (2400-3300 m / 8,000-9,500 ft). Flights via scheduled local carrier. 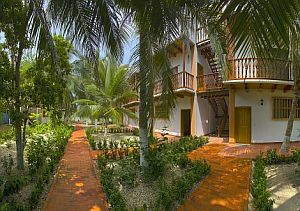 Well-located, heated / air-conditioned, mid-range (3 star) hotels with en suite toilet and bath throughout. Tour Leader, local guides and driver/s.